Discover why Bedford Heights is fast becoming known as Bedford’s most desirable business destination. 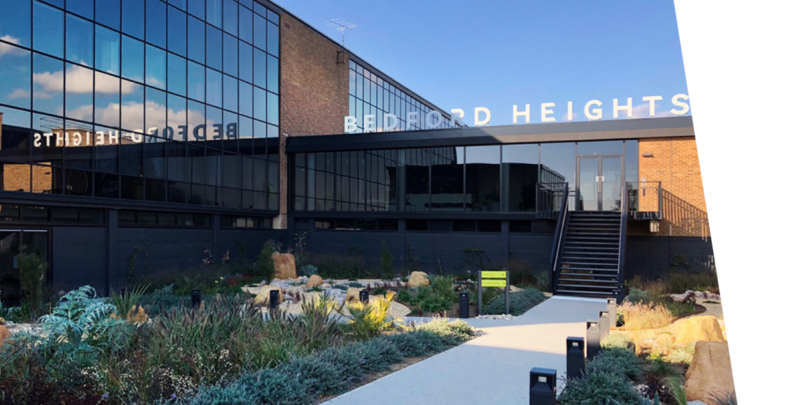 Immediately noticeable for its striking glass exterior, Bedford Heights offers flexible office space with beautifully designed shared facilities. 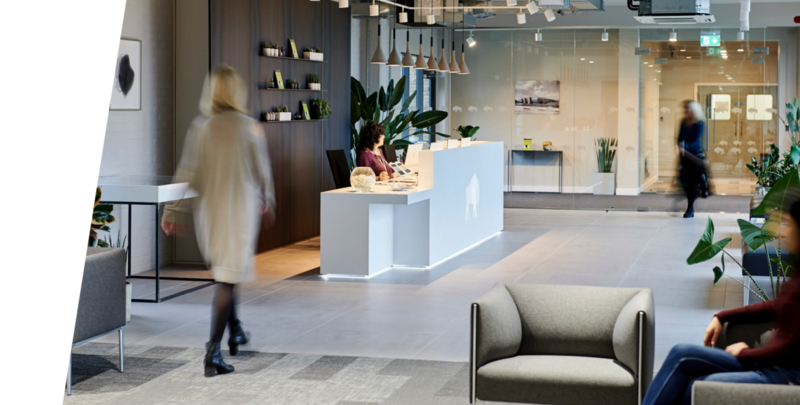 First impressions count and Bedford Heights’ sleek and contemporary reception has been carefully designed to make an impact. 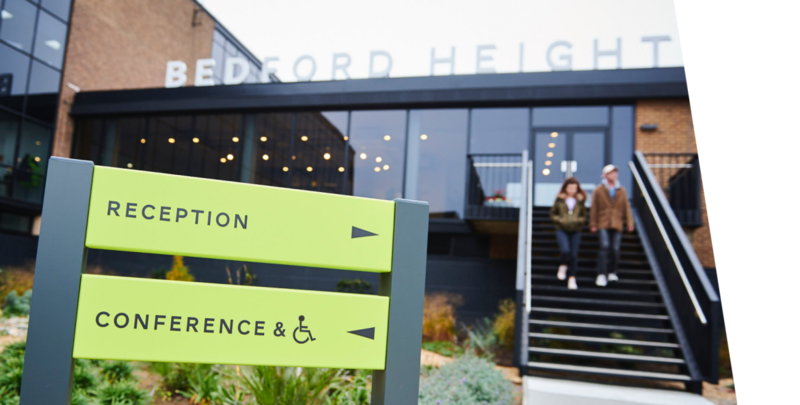 The hub of Bedford Heights, our reception provides a warm welcome for both tenant businesses and visitors. 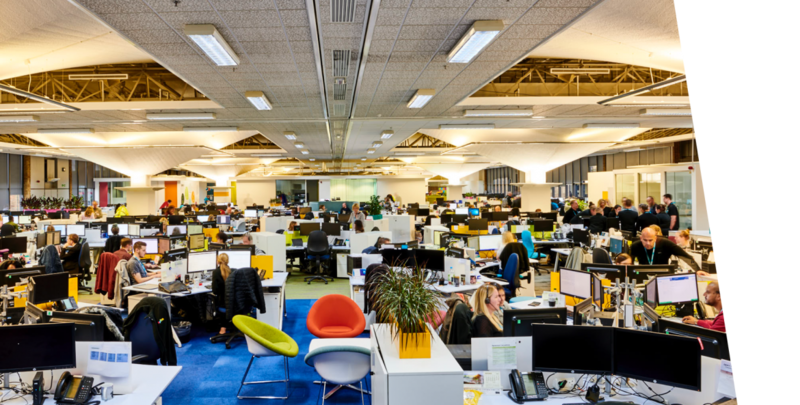 We also offer an excellent range of business support services including security, CCTV monitored parking, 24 hour access and an onsite management and maintenance team. Our stylish midcentury-inspired lounge is a comfortable, welcoming place to relax in or meet clients whilst our three courtyards situated within the grounds of Bedford Heights mean you can make the most of warmer weather or enjoy lunch alfresco. As corporate cafés go, Graze is special. Serving breakfast, lunch, snacks and hot and cold drinks, as well as catering for the Conference facility, Graze is an oasis away from the office. 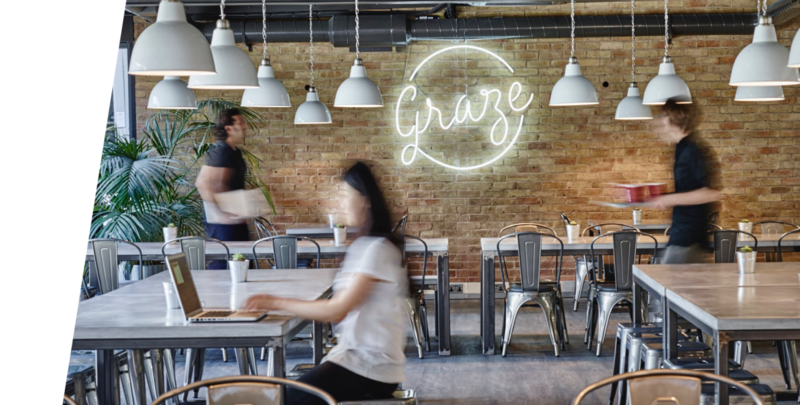 The interior design of Graze has been carefully thought out to incorporate elements of our Texan heritage including giant cacti, Texas Longhorn murals and an American diner style neon sign. Whether you are a recently established business or a large multinational, Bedford Heights has space for you. We offer a range of suites from 120 to 25,000 ft2. 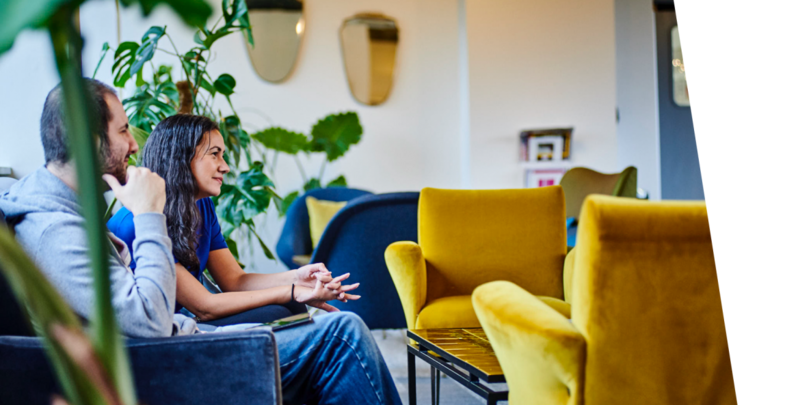 We also offer co-working spaces with options to rent desks rather than full office suites, as well as a virtual office address and post facility. Storage units ranging in size from 50 to 1000 ft2 are also available. 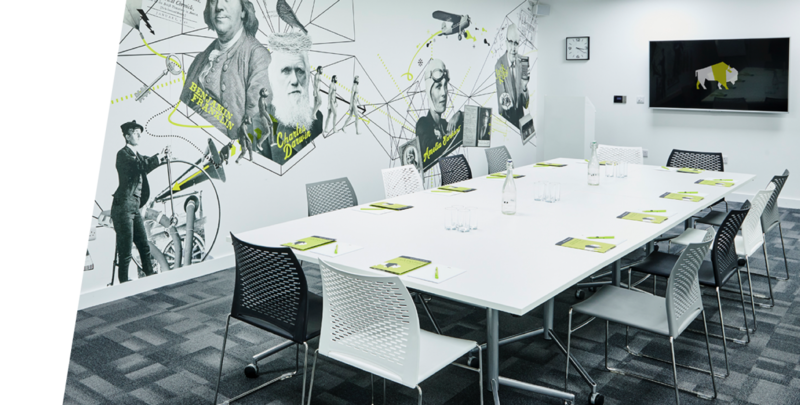 Our flexible conferencing facility is suitable for a range of events from board meetings to training workshops and can hold up to 240 delegates, with modern AV equipment. Our boardroom can also double as a catered private dining room for 12 people. Bedford Heights’ onsite gym allows our businesses to get their endorphin fix without leaving the building. 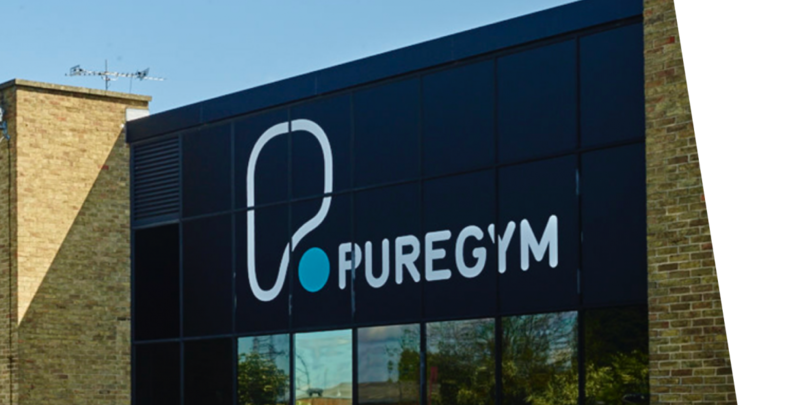 Operated by PureGym, the gym is accessed via the ground floor near Graze Café and offers a comprehensive schedule of over 50 classes a week including convenient 30 minute lunchtime sessions as well as cardio equipment, and free and fixed weights. Open 24/7 with changing rooms, showers and lockers, there is no contract with affordable monthly subscriptions available. 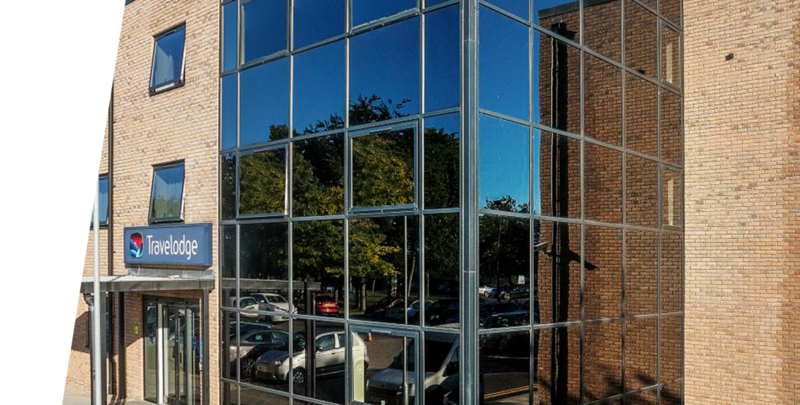 Located adjacent to Bedford Heights next to the main car park is a Travelodge, offering convenience should tenant businesses or visitors require overnight accommodation. For more information on the hotel and to book a room, contact Travelodge direct on 0871 984 6276 or visit www.travelodge.co.uk. If you are interested in renting office space or booking the conference centre, or have any other general enquires, please get in touch.